Has this spaceX program ever tried to land the Rocket on a floating platform/barge by chance? I watched a youtube video and thought you might be a good source to verify this info. it was a recorded talk show and the guest had mentioned that SpaceX has been trying to land a rocket or launch from a floating barge or platform? Yes they have; they've landed twice on the ASDS now. Once under normal conditions, the other was "coming in hot and extremely fast" when they didn't expect it to really work (and it did anyway). The vids are on YouTube, they're both things of beauty. Check SpaceX's YouTube channel. The SpaceX booster landing test program started with the Grasshopper and F9R Dev-1 vehicles a few years ago at theMcGregor Texas test site. Starting with over a year ago they started landing attempted on drone ships, 300x170 foot converted barges with station keeping thrusters and a bunch of other hardware. Then they built a landing pad at the former LC-13 launch pad at Cape Canaveral, LZ-1. Several landing attempts failed, but that's how R&D goes. On December 21 2015 a Falcon9 booster did a night landing at LZ-1. 2 other boosters have landed on the drone ship Of Course I Still Love You; the Dragon CRS-8 (day) and JCSAT-14 (night) launches. Edited for length, Dragon CRS-8 ISS cargo flight booster landing in April, the first on a drone ship. The JCSat-14 stage did a night landing on the same drone ship. Bear in mind that a Falcon 9 first stage is about 44 meters (144.33 feet) tall without the legs extended. I find it kinda funny that NASA didn't sign the contract for Orion with Boeing. North American Aviation built the Apollo CM and SM. NAA was bought out by Rockwell, which was bought out by Boeing. Granted it was a while ago, but I'm sure Boeing kept all the designs and records from the buyouts. To me it would make more sense to go with a company that has a history building capsules than one that doesn't. Anymore Boeing = LH/M = ULA. They're pretty much the same company now, depending on who you ask. On paper they're separate; but they share personnel on a regular basis. That whole competition with the F-35 versus the other Fighter to see which one would get built, 10 or 15 years ago? Likely a necessary illusion of "competition". 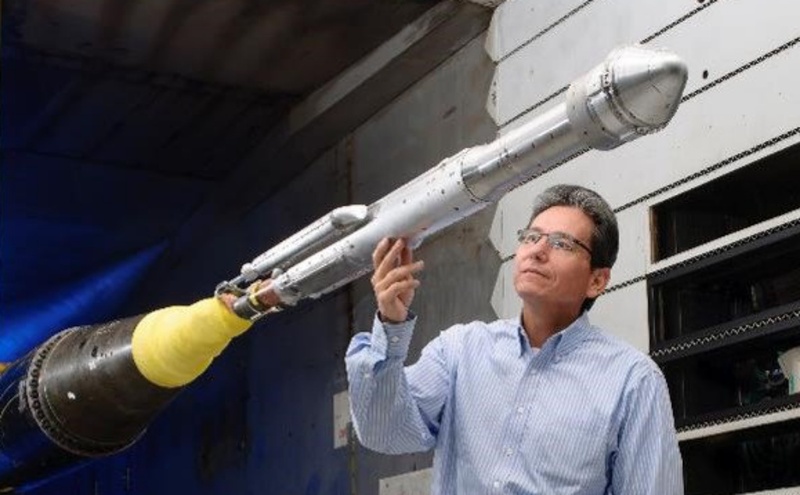 Continued work on Dragon pressure vessel weld and Environmental Control and Life Support - Systems (ECLSS) testing. Ribbon cut on Space Training Analysis and Review (STAR) Facility in Houston. ASAP again had a very open and candid interaction with the CCP. CCP Program Manager Kathy Lueders demonstrates exceptional leadership and transparency and willingness to discuss all the issues in the Program. Both providers are working to the schedule, which is challenging. All the schedules are very success-­oriented and may not hold. There are no specific schedule concerns at this time, but a lot of work is still ahead. The next year or so will be a defining moment as the program is about to enter the hardware testing phase. Over the next 16 to 18 months, the public will see a lot of things happening. All of the suppliers in the CCP are on the cusp of a number of very visible actions. At this point, the providers are tracking to schedule and making significant progress. Technical interchange meeting with NASA is scheduled for this summer. Orbital capable pressure test will be conducted at Lockheed Martin facility. Requirements Changes. Both of the commercial manufacturers have proposed to NASA certain changes in standards and policies. NASA must review these and determine whether these alternate standards meet NASA requirements or not. Closing Loss of Crew (LOC) Gap. The gap is between what the Program goal is and what the current analysis indicates that the systems will achieve. Search and Rescue (SAR) Posture. The Program has been working with the Navy SAR people to put together high-­fidelity simulators to train rescue personnel in egress under various conditions. They are also working to provide those simulators to the typical SAR organizations so that they can continue this training. The primary program safety risk is continued effort analysis and design changes to meet the LOC goal. That activity is ongoing with both suppliers. Happy to see things are progressing well. Looks like SpaceX is the one to watch, but LH/M is gaining ground finally. Those acoustic problems and the "Abort Crusher" issue are going to haunt them for a while, I think. And you're right, Doc. The next year is gonna bring a lot of visibility to the Program. 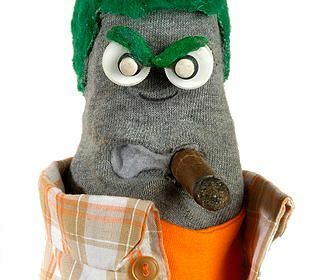 Ed the sock memo.......One should be flying at the end of 2017, the other will be wind tunnel and power point approved. LONG BEACH, Calif. — In the wake of a launch accident and a critical report, the two companies with NASA commercial crew contracts say they’re committed to maintaining their development schedules, but not at the expense of safety. During a panel session at the AIAA Space 2016 conference here Sept. 14, officials with Boeing, SpaceX and NASA went to great lengths to emphasize they would not rush the development and test flights of crewed vehicles despite a desire to have at least one company’s system ready to start ferrying astronauts to and from the ISS before the end of 2018. Prior to the Sept. 1 pad accident that destroyed a Falcon 9 rocket and its satellite payload, SpaceX had planned to perform a demonstration mission of its Crew Dragon spacecraft to the International Space Station without a crew as soon as May 2017, with a crewed demo mission to follow later in the year. But at the conference, Benji Reed, director of crew mission management at SpaceX, declined to give estimated dates for those missions. Kathy Lueders, NASA commercial crew program manager, said her program is participating in the accident investigation team established by SpaceX after the pad explosion. NASA’s ISS and launch services programs are also represented on the team, which is led by SpaceX and also includes the U.S. Air Force and Federal Aviation Administration. Chris Ferguson, deputy program manager for commercial crew at Boeing, restated a schedule for development of the CST-100 Starliner that the company has been reporting for several months. That plan includes an uncrewed flight test in late 2017 and a crewed flight test in February 2018. That schedule, he said, would allow the CST-100 to be certified in time for an operational mission in June 2018. That schedule is more optimistic than an assessment in a Sept. 1 report by NASA’s Office of Inspector General. That report found issues delaying development of commercial crew vehicles at both companies, and concluded that it was unlikely either would be certified to carry NASA astronauts before late 2018. Both Ferguson and Reed discussed the technical progress they are making with their commercial crew efforts, including a series of tests of various spacecraft components. Those efforts also include finalizing upgrades to launch sites in Florida for crewed Atlas 5 and Falcon 9 launches, which both said are nearing completion to support those missions, whenever they take place. I have a feeling that it will all work out nicely. An analysis showed Crew Dragon would have easily escaped the Falcon 9/Amos-6 explosion. Not even close. Quite right, I am not so confident with the CST-100 though...but, I guess time will tell. 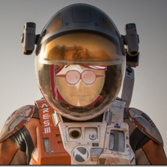 I am very confident in SpaceX, just a matter of jumping through all the required hoops. Helping Crew Dragon is that the 8 SuperDraco engines can go from 0% to 100% thrust in 100 milliseconds, then it's pulling several G's accelerating away like a bat out of Hell. Yep. Dragon 2 would have been half a km from the kaboom by the time it was quarter of a kaboom, and still accelerating. No worries for Crew Safety at all. LAS CRUCES, N.M. — Boeing is delaying a series of test flights of its CST-100 Starliner commercial crew vehicle by up to six months, pushing back the first operational mission of the capsule until the end of 2018. Boeing spokesman William Barksdale said Oct. 11 that a number of development and production issues with the spacecraft led the company to reschedule the test flights that are part of its Commercial Crew Transportation Capability (CCtCap) contract with NASA. News of the delay was first reported by Aviation Week. Under the revised schedule, a pad abort test of the CST-100, previously scheduled for October 2017, is now planned for January 2018. 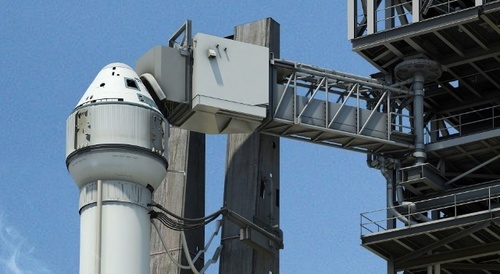 An uncrewed CST-100 flight, called the Orbital Flight Test, has shifted from December 2017 to June 2018. 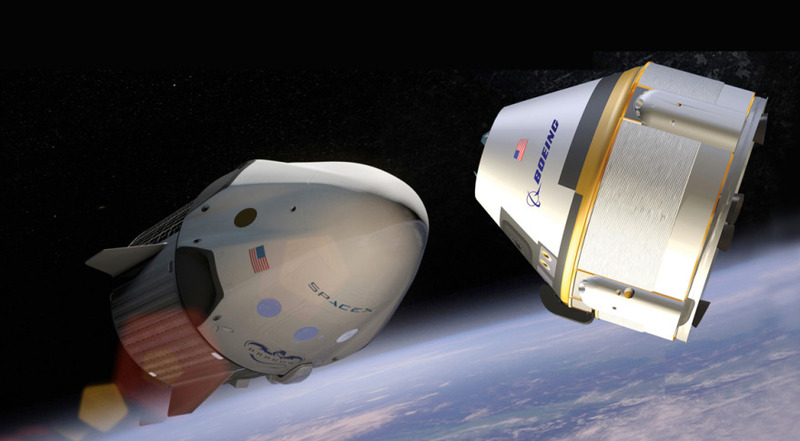 A crewed flight test of the CST-100 to the International Space Station, carrying a NASA astronaut and Boeing test pilot, has been delayed from February to August 2018. If that schedule holds, Being anticipates flying its first operational, or “post-certification,” CST-100 mission to the ISS in December 2018. Boeing and SpaceX are working on new commercial capsules designed to transport at least four astronauts to and from the orbiting outpost, but their schedules appear to be slipping, this time due to technical woes, not the lack of funding that caused previous delays in the program. Until the U.S.-built spaceships are certified by NASA, all space station crews will launch and land aboard Russian Soyuz spacecraft. NASA last year signed a $490 million agreement with the Russian government for six round-trip seats on Soyuz missions, with launches in 2018 and landings extending into early 2019. The space agency is sending nearly $82 million to Russia for each ticket. Even as the commercial crew schedules move later into 2018, NASA officials say they are not considering extending the contract with Roscosmos — the Russian space agency — for more launches in 2019. The last Soyuz launch seats reserved for U.S. astronauts are at the end of 2018. It takes more than two years to procure components and assemble new Soyuz capsules, so Russia needed to receive new Soyuz orders from NASA by some time this fall to ensure the spacecraft would be ready for liftoff in early 2019. I am confident that SpaceX will be ready, at the right time, to take over all transport duties. That skirt isn't gonna save the top of the S2 from instantaneous crush/kaboom during an abort due to the aero forces .... nor will it save CST's "Service Module" (whatever the blazes they're calling it these days ...) from going critical in the same scenario and exploding out of spite for the same reasons. Now that we're actually seeing the skirt, it's more likely that LH/M has built it because their aero testing showed their SM design was completely, utterly stupid. Those negative aero forces are more likely to be happening during launch, and tearing the SM apart in simulation. So, rather than redesign scrap an already bad design that shouldn't have been approved to begin with, they're too far in so this was the only way to salvage it. Build a fairing (skirt) and eliminate that nastiness. Same thing they've done with Orion to cover a bad design there too. It's one thing to build a skirt to cover up some Solar Panels during launch -- that can't be helped. It's something entirely different to build a skirt because your design was ####. And not only have they done it once, they did it twice. Blah. What a hose job they've pulled, at our expense. We're the ones footing the bill. In order to support the payload and thereby reinforce Centaur for launch loads the Atlas V payload fairings have a - ta-da - skirt which surrounds Centaur and attaches to the upper stage. Once the loads reduce the payload fairing is jettisoned. I'd bet a $10 Cronut the new Starliner skirt serves a similar function for the upper portion of Centau. The LC-39A crew access arm is on site, but they're going to wait until spring for installation so they can get delayed flights launched. It was scheduled for this month, but they're busy-busy for RTF. We saw it coming, folks. We knew it would happen. Tory & Co. tried to boost the bottom line and got caught with their pants down. It's not really his fault for following protocol -- he just isn't a risk-taking businessman. He sticks to his education, and doesn't think outside the margins at all. Every sign of the market said "cut back, downsize to this amount" and he did it like any good drone with no creative thinking would. Didn't ride it out with the labor pool he had ... *sigh* ... now they're swamped and up to their necks in work orders that are falling behind. They can't keep up. That's the bottom line now. They can't build Atlas V's fast enough -- and that's the first problem they've got over at ULA. 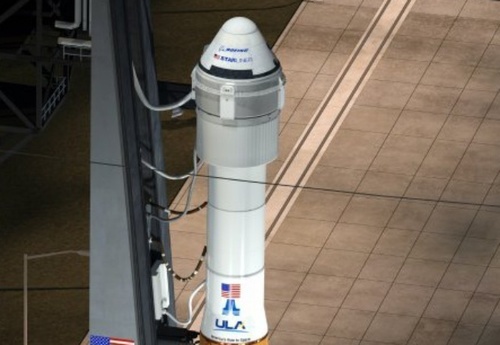 Boeing and ULA are waaaaay behind schedule. They aren't going to make their 2018 targets either. Their itinerary is gonna slip into 2Q 2019 at earliest. They have so many irons in the fire right now that they can't keep up with it all -- and the labor cutbacks 24 months ago have bit them in the ###. Tory should be ashamed of himself. He's got a lock-in of the market right now, and his company can't build 'em fast enough. Shame on him, his employees and his superiors at LH/M and Boeing for letting this happen. They're missing the boat big time. What a waste of an opportunity ... sheesh. Thanks for the info Doc i just wish I could display all of the information is some sort of pretty picture so people would understand easily. A list per task and expected time frame for it and how far along each vendor is or something like that. UV, I wouldn't blame the employees for this issue. Its hard to work hard and put in 100% when your not happy with what the business is doing. (I know first hand how that feels) This goes back to the issue of a private vs public company though, you can take more risks and splash out more cash in a private venture than you can in a Public company. We use to go and buy things when ever we needed them, no questions asked, now we have to go through a process to spend $10 let alone the 6 week business case we have to put forward to buy something expensive. SpaceX were more suited to meet the changing requirements and design challenges, Boeing should have had the project experience to have it completed on time, but they have failed with the Technical challenges and changes they needed to complete. Ill be in the states in July/August next year I hope SpaceX can hit their timeline and I can be there for it, i might make a trip down to see the launch if I can. Crew Dragon is based on a flying vehicle which has proven itself very robust - surviving an upper stage kaboom is no small feat and it's performance in space has been excellent. Flight history matters, and this has sped up Crew Dragon considerably. Boeing? Nothing like a re-entry capable cargo or crew vehicle, and we see how much trouble Lockheed Martin is having with Orion. 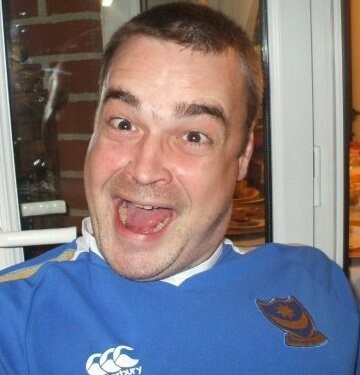 Sclerosis has set in. NASA updated Crew Dragon & Starliner schedules.